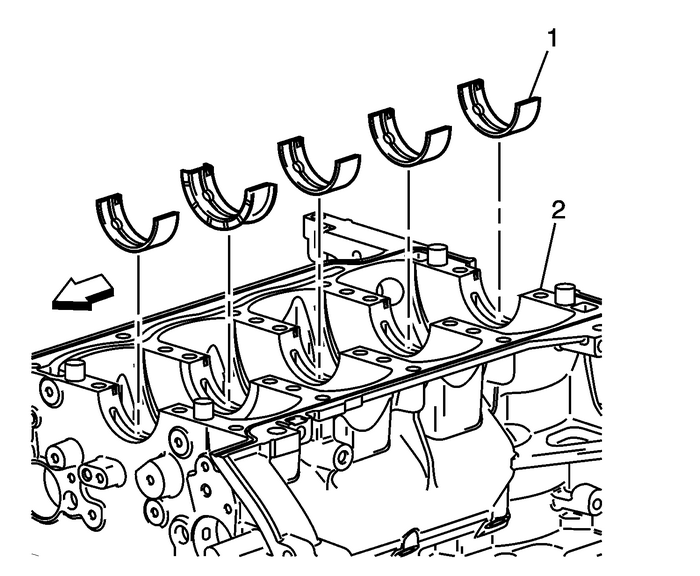 Remove the crankshaft-(1) from the block.Remove the crankshaft rear oil seal-(2) from theblock. 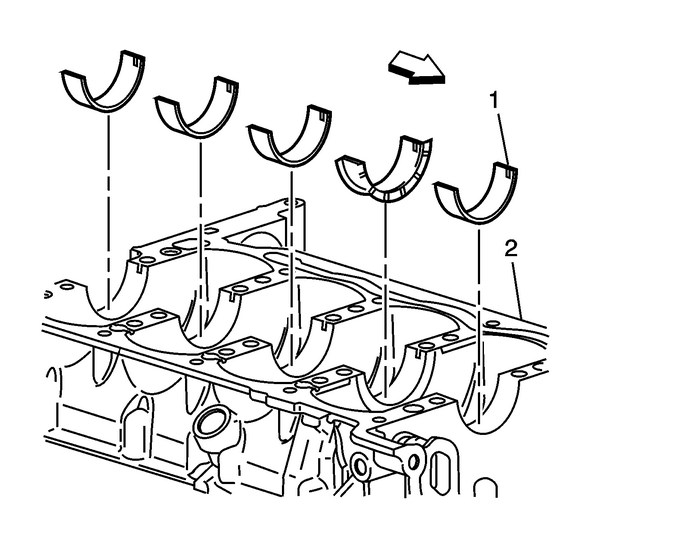 Remove the bearing inserts-(1) from theblock-(2). Remove the bearing inserts-(1) from the bedplate-(2).Clean the oil, sludge, and carbon.Inspect the oil passages for obstructions.Inspect the threads.Inspect the bearing journals and the thrust surfaces for thefollowing conditions:CracksChipsGougesRoughnessGroovesOverheating (discoloration)Inspect the corresponding bearing inserts for imbeddedforeign material. If foreign material exists find the cause andrepair it. 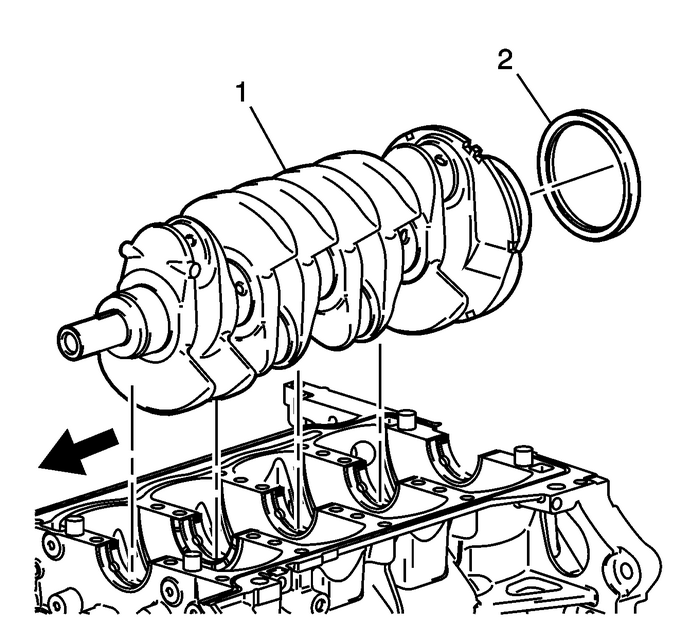 Note:Replace the crankshaft if cracks, severe gouges or burnedspots are found. Slight roughness may be removed with a finepolishing cloth soaked in clean engine oil. Burrs may be removedwith a fine oil stone. Measure the crankshaft journals. Use a micrometer or dialindicator to measure the taper and runout. Note the result for thelater selection of bearing inserts. If not within limits thecrankshaft must be replaced. Note the location of the main bearing high spots. If they arenot in line, the crankshaft is bent and must be replaced.